Big Blue Snail had decided that his admirers needed political education. 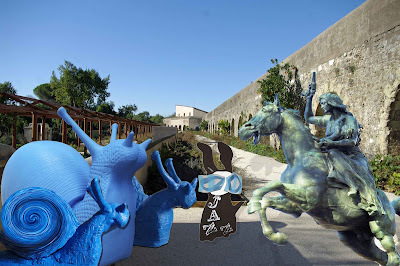 The Wabbit was leading them all through the Villa Pamphili Park to the Gianicolo Hill but they hadn't gone far when they heard a neighing and whinnying and a stamping of hooves. Suddenly a statue of horse and rider appeared, blocking their path. The Wabbit hopped forward immediately with a welcoming paw. "You're supposed to be at the top of the Hill," he said. "We got fed up waiting," said the horse. 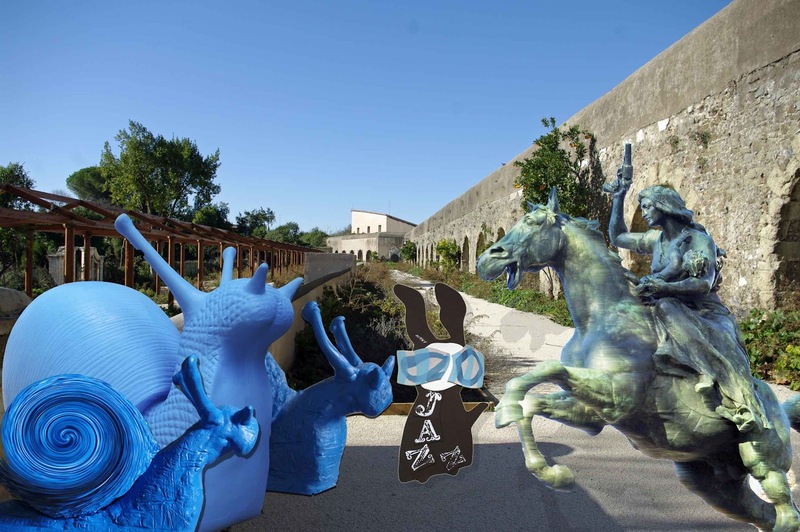 "The Wabbit speaks with statues?" asked the new Snails. "They speak with him," said Big Blue Snail. The new Snails tried unsuccessfully to show they weren't impressed. "Listen youngsters," said the Wabbit. "This is Anita Garibaldi, escaping from the wicked enemy, carrying her new born child." "Oooooh," said the new Snails, "how brave!" "Was she against things?" asked one Snail. "She was for things," said the Wabbit. "She was for freedom and unity and we can learn from her." "What would you like to know, young Snails?" said Anita. 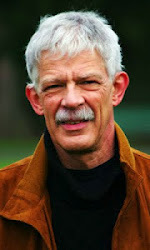 "Will it take long to achieve freedom and unity?" asked the new Snails. "Do you love your species with all your heart?" said Anita. "Yes," chorused the new Snails "Prepare for hardship, battles and ultimately triumph," said Anita. The Snails looked suitably chastened. Anita turned to the Wabbit. "We shall meet again, Commander," she said. 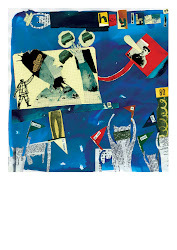 "For new triumphs," replied the Wabbit and he waved his paw. Both horse and rider vanished and all that remained of their presence was the sound of galloping.